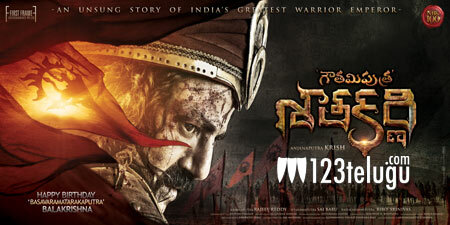 We have reported a while back that Balakrishna’s 100th flick, Gautamiputra Satakarni, under the direction of Krish Jagarlamudi is progressing at a brisk pace and that the film has recently finished a couple of schedules in Morocco and Hyderabad respectively. According to the latest updates, the film’s next schedule has kickstarted earlier today at Chilkur near Hyderabad. Apparently, a few vital action scenes are currently underway. A large ship set has been erected especially for this schedule.